If you are looking for a traditional Christmas light shape to bring a warm glow to your holiday decorations, C9 opaque yellow bulbs are your answer. These C9 Christmas bulbs will light a tree beautifully in your home, along with all of your artificial or natural greenery. Consider combining these yellow bulbs with other colors for a Christmas tree that suits your personal style or represents the colors of your favorite sports team. These yellow bulbs would be great additions to a theater production or a golden wedding anniversary. Lights simply bring that extra special touch to all of your important events. 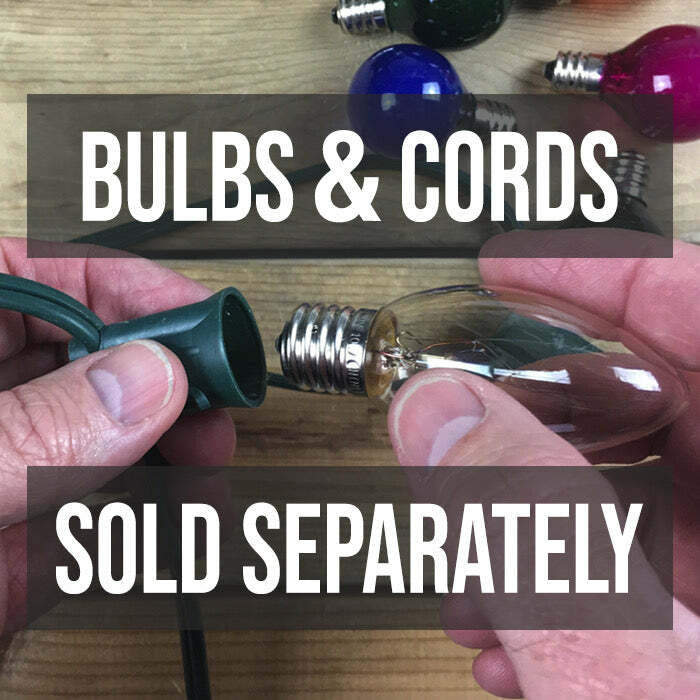 When placed in your 25, 50 or 100 ft. cord purchased separately, they can be used in multiple ways in both indoor and outdoor applications. Really like these as I have not seen bright yellow lights before. These are very nice.